Injured in a car accident in Northeast PA? Now what? Click here for our answers to common car accident questions. If you or a loved one has suffered injuries from a car accident, you deserve compassion, respect, and financial compensation—all in a timely manner. Wilkes-Barre car accident lawyer Jonathan S. Comitz is an experienced auto accident lawyer who is trained in this type of litigation and is dedicated to getting you the compensation you deserve. Comitz Law Firm, LLC, serves clients throughout the Commonwealth of Pennsylvania, so whether your car accident took place in Wilkes-Barre, Scranton, Luzerne County, Lackawanna County or elsewhere in Pennsylvania, contact our office for a free consultation today. 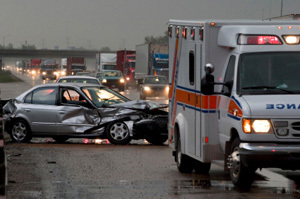 Dealing with the aftermath of injuries sustained during an auto accident can be very traumatic, and we recognize that selecting the right attorney to represent your case can be difficult. 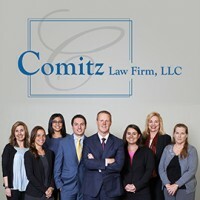 At Comitz Law Firm, LLC, we have many years of experience advocating on behalf of clients who have suffered injuries due to car accidents. Attorney Comitz is dedicated and compassionate, and is will fight tirelessly on your behalf against insurance companies and reckless drivers. He has aggressively fought on behalf of drivers, passengers, and pedestrians who have suffered injuries due to auto accidents caused by drunk drivers, uninsured or underinsured drivers, commercial trucks, motorcycles, defective auto parts, and more. At Comitz Law Firm, LLC, our auto accident attorney, staff and team of investigators recognizes that even seemingly minor car accidents can result in substantial medical bills and time lost from work, and we will do whatever it takes to get you the compensation you deserve. Regardless of whether your auto accident was a serious one—resulting in catastrophic injury or wrongful death—or a minor fender bender, Attorney Comitz is here to provide you with the legal advice you need. Contact our Wilkes-Barre auto accident lawyer today for a free consultation, and let us put our legal expertise to work toward maximizing your recovery. $300,000 settlement for passenger killed as a result of the driver’s negligence. $100,000 settlement for driver who suffered mental anguish over the death of the defendant who caused the auto accident. $59,500 settlement for passenger who suffered shoulder sprain in car accident. $50,000 settlement for driver of car who suffered a soft tissue neck sprain. $90,000 award for driver rear-ended who suffered a back sprain. $25,000 award for passenger who suffered a wrist sprain in auto accident.